You could say I’m completely infatuated with Simon, you could say that I indisputably love him. 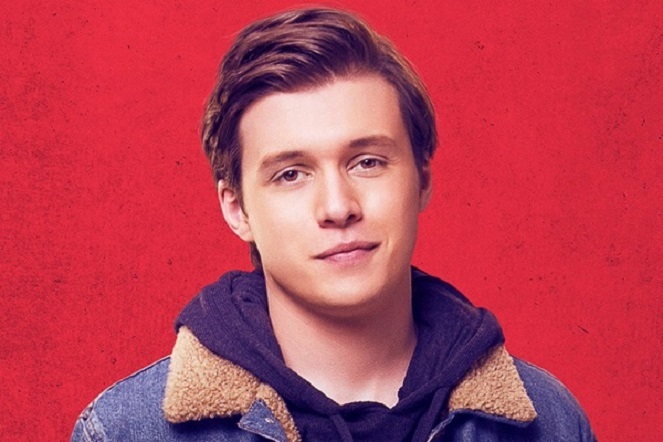 It may be because he’s being played by Nick Robinson – he’s just so darn cute. My ideal guy? Possibly. My ideal story? Definitely. This novel is not for the faint hearted and nor is the film, which was released in late March. The emotional roller-coaster that Greg Berlanti and Becky Albertalli have taken me on in the past few months as I consumed this media was an experience I never thought I would have. Being exposed to such relatable characters, a beautiful story and teenage angst exemplifies the struggles of living in a world where your little differences and secrets could destroy you. In true nerdy nature I would like to note that although the themes, characters and plot progression were not all carried over from the book, I still thoroughly enjoyed this film. 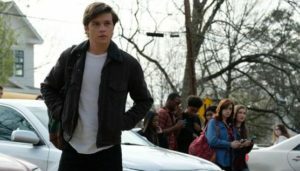 Love, Simon explores the life of Simon Spier, a seventeen year old high school boy. We see his relationships with friends, family and his school develop akin to that of any teenage boy – except Simon has one secret. He’s gay. This move is a hilarious, terrifying and heart-warming exchange of emotions as Simon is confronted with challenges, obstacles and love when he falls hard for an anonymous classmate through emails (not the classic Tinder match). We follow Simon on his perilous journey, which leads him down a steep path of self discovery and acceptance, as this modern coming of age story blooms into something really wonderful. Simon is easily one of the funniest, wittiest, most lovable characters ever written, but his defining characteristic is his relatability. Robinson delivers a multifaceted performance as Simon. He is simultaneously charming, heart-achingly vulnerable and best of all, painfully awkward in the way that every teenager should be. Supporting characters, including Leah (Katherine Langford from 13 Reasons Why), Nick (Jorge Lendeborg Jr) and Abby (Alexandra Shipp), are truly there to support Simon throughout his journey in this film. They may appear under-developed, however, it can easily be understood that for the purposes of the film, they are an extension of Simon and influence his every decision. After all, we all need a friend we can share secrets with. Another character who is important to mention is Blue, the mystery man behind the emails to Simon. I feel as though they incorporated Blue into this story quite poorly. I didn’t enjoy the over-speculation as to who Blue could be. It made the experience feel like a murder mystery. This is not to say I am disappointed with the adaption, I am disappointed with the execution of Blue in that his value to Simon was made to seem less valuable then what it truly was. However, the adaption from book to movie, along with casting, plot development and cast interviews are all exemplary (apart from that one jab that I had). It is generating a conversation for change, for acceptance and for the elimination of this stigma that causes people to hide who they truly are. Nick Robinson has done a brilliant job in portraying Simon to the world. He shared this story with grace. He’s spoken briefly to the media about his own journey related to the film, which encouraged his brother to come out. This speaks to how effective this film is at relating to those who may be struggling with their sexual identity. It also exemplifies the notion of being who you are and unconditionally loving yourself and those around you. 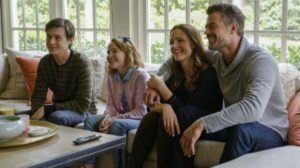 I also want to mention Jennifer Garner and Josh Duhamel (Emily and Jack Spier respectively), who delivered achingly sincere performances of parents reacting to their son’s journey of coming out. It is refreshing to see such love ignite from a situation that can bring so much agony to young people. The notion of everyone deserving a love story speaks volumes to the society that we live in and gives an authentic and nostalgic voice to the victory for LGBT+ individuals after Australia’s successful ‘Yes’ vote in November, 2018. This story not only gives a voice to those who have been scared or feared coming out, but is empowering for all of the individuals in the world to stand up and be proud of who they are. Not just LGBT+ individuals, but everyone in the entire world, regardless of sexual identity. This movie and novel resonated with my own story of coming out to my family recently. It empowered me to embrace who I am. I’ve been waiting for this film to come out since the trailer. The reason was to find someone else with a similar story to mine because really, there aren’t many love stories like this out there. Having allies in friends, family and even fictional stories make a difference in people’s lives. I hope Love, Simon has touched others as much as it has me. There are parallels between this film and my own life. From having accepting friends and family, to having people who make fun of me, to having the feeling that you do deserve a good love story no matter your sexual orientation. I thoroughly enjoyed this movie and my recent journey in coming out has been greatly affected by this story. No-one can prepare you for how those around you might act. I am one of the very lucky ones and I’m so glad that a story like Love, Simon is generalising and informing the public as to what love truly is. If this movie changes the opinion of one person – parent, friend, teacher or stranger – toward homosexuality, one child who is scared to come out may embrace themselves and that is quite profound. I wish this movie had come out when I was having issues with my own journey. It will be a priceless resource for younger generations to refer to and learn from. It genuinely makes me excited to see what comes next. Finishing this up, Love, Simon truly is a modern teen classic for a generation that will continue to evolve to accept and respect others for their individuality. It’s a coming of age tale, full of enough romance, comedy and teenage angst to last a lifetime to have you both smiling and drawn to tears. It is an authentic, well written experience (backed up by a killer soundtrack) that is a heart-aching yet equally heart-warming story of self-identity and first love that anyone can relate to. This film means so much to people who will see themselves in Simon Spier and for the first time, find someone who is like them. We all have someone that we love like Simon.